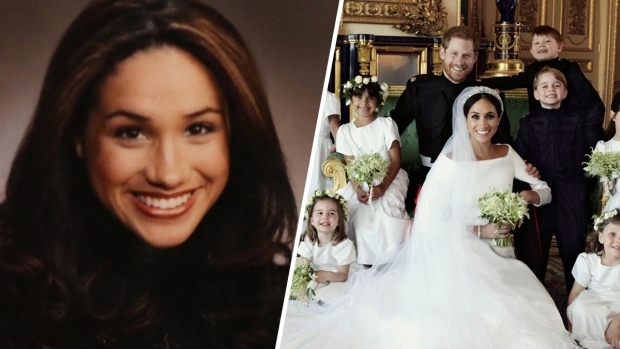 Twenty-eight years ago, Meghan Markle was queen for a day. And in less than two months, she will marry Prince Harry and receive a royal title of her own. Long before she took one of the world's most eligible bachelors off the market, an 8-year-old Markle crowned herself and reigned over BFF Ninaki Priddy's birthday party. 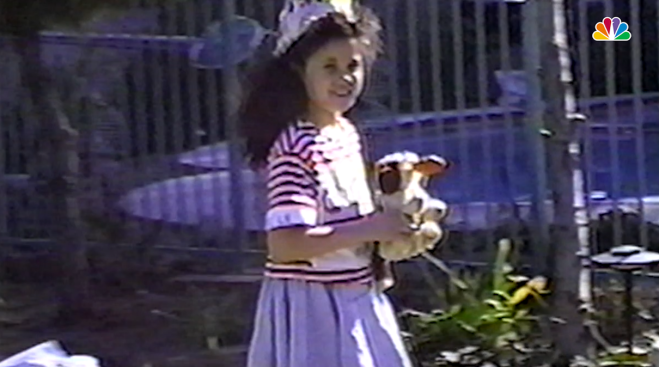 Priddy's private home video shows the future (and now retired) actress starring in an unscripted backyard production of "Your Royal Highness," featuring Markle as the Queen and her pals as princesses. "We did a lot of playing 'make-pretend' as kids," Priddy told NBC. "It was a lot of fun. Meg loved to be in that world of make believe. And she would always be the lead. Being an only child, there was definitely always this thirst of attention. When the video was filmed in 1990, no one knew Markle would one day marry a member of the royal family. And yet, in hindsight, it gives a glimpse of the woman she was destined to be. "Your highness, isn't there anything to do around the kingdom anymore?" one girl asks. "Yes!" Markle replies. "Make 900,000 cookies and sew me a nice dress." "Your highness, what is this all for?" another girl asks. Markle replies, "It's for this meeting I'm having. I'm having people from Florida and Canada, Mississippi, Missouri." A benevolent ruler, Markle gives "Princess Nikki" and "Princess Kara" a 10-minute break and tells them to go inside. In the living room, Markle says, "Princess Kara, I thought I said no eating cookies in bed." "It's not a cookie, mother," her friend replies. "It's a Chips Ahoy! chocolate chip cookie." "Oh! Carry on then," Markle says, feigning a British accent. "Carry on." Later on, Markle changes out of her red and white striped T-shirt and into a black and pink cocktail dress with polka dots and ruffles. At one point, the cameraman asks, "Meghan, are you bored?" She confesses that "yes," she is a bit wearied. Before long, a clown arrives to entertain her--and he happily makes her a pink balloon animal. At one point in the home movie, Markle wears a gold crown. Whether she'll get to wear one of Queen Elizabeth II's tiaras for her May 19 nuptials remains to be seen. Kate Middleton borrowed a Cartier halo tiara, which King George VI first purchased in 1936, when she married Prince William.